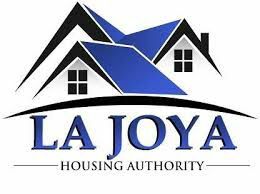 LA JOYA — This city’s housing authority board canceled an emergency meeting Thursday night during which members were expected to hire a new executive director after firing Frances Salinas on Wednesday as the head of the La Joya Housing Authority. The board was forced to cancel the meeting after she declared the previous day’s proceedings void, invalidating all actions taken during Wednesday’s meeting, including her firing. Only board member John Peña was absent Wednesday, with members Maricruz Sifuentes, Sylvia Garces Valdez and German Reyna voting to fire Salinas, who was not present, during executive session. In a letter to Mayor Jose A. “Fito” Salinas, her father, Frances Salinas wrote she violated the Texas Open Meeting Act because she failed to post notice of Wednesday’s meeting 72 hours in advance, as required by law. This effectively renders the proceedings void. According to the letter, Mayor Salinas “confronted” Frances Salinas with a “screenshot” of her posting the notice on the doors of city hall at 8:45 a.m. Monday, Oct. 8, less than 60 hours in advance. Sifuentes said she asked Frances Salinas to call a meeting because the board had not met since July despite impending deadlines tied to the U.S. Department of Housing and Urban Development’s April 2017 on-site review of the La Joya Housing Authority, which found the agency suffered from mismanagement issues. HUD required the agency to write a corrective action plan and quarterly report, both of which have yet to be written, according to La Joya Housing Authority Program Manager Cristi LaJeunesse, who noted the program was at risk of being given to another city’s housing authority to manage. The La Joya Housing Authority manages 50 public housing units across the city and runs a voucher program for 128 families. “A lot of things are coming up; they have deadlines. We had an extension on the deadline, and this is very important stuff that might have to do with whether we keep the housing authority or not,” Sifuentes said. “If (Frances Salinas) doesn’t do the (meeting) agenda, then we have to get together to do one. This was an ongoing thing — she’s not here; she wouldn’t do the agendas. On our part as a board I thought it was something that we needed to do. The mayor, who is tasked with appointing the housing authority’s board members, stood by his daughter’s decision to void Wednesday’s meeting and alleged that the board’s move to terminate his daughter was politically motivated. Frances Salinas previously served on the housing authority’s board before being named its interim director following the December 2016 firing of its former director, Juan Jose “J.J.” Garza, who was indicted on wire fraud charges in September of that year. She was appointed to fill Garza’s Place 2 seat on the La Joya ISD Board of Trustees in August 2017 and is running in November’s election to keep the seat. Some of the board members are employed by the district, and Fito Salinas described one of them as a “disgruntled employee” who was not promoted to a different position within the district per Frances Salinas’ recommendation. LaJeunesse said the board had called Thursday’s emergency meeting in order to make sure access to the program’s bank accounts was limited. “We do feel like it is in our best interest to go ahead and move forward with a two-hour emergency meeting to protect the assets of the housing authority, but we will go ahead and honor the 72-hour posting notice just to not create anymore friction,” she said. The board plans to hold a meeting Monday, Oct. 15, LaJeunesse said, adding the board would post the meeting notice and agenda by Friday evening, well in advance of the 72-hour deadline. Monitor staff writer Berenice Garcia contributed to this report.